There are a huge number of digital advertising options available these days—something to suit almost any business whether large or small, B2B or B2C. Choosing the right platforms and the right options within that platform (or platforms) can make a huge difference to the end result, as can professional, expert setup and management. The downside of having so many choices is that it has become harder for non-specialists to effectively manage their ads. Commerce cabin has made a specialty of cleaning up poorly-performing digital advertising campaigns. If you’re not absolutely sure yours is delivering great ROI, let us know. We can take a look and let you know what you’re getting. If you want to create a new campaign, we can get it off to the best possible start. Here’s a quick rundown of some platform and ad format choices. Perform almost any search on almost any search engine and you’ll see a collection of ads alongside the organic, unpaid search engine results. Although they can be enhanced with various features, and there are exceptions (see Google Shopping below), these ads are mostly text-based. When we talk about Search campaigns, this is what we mean. The great value in search campaigns is that you can match your ad to very specific queries, so you can know that the searcher is looking for something relevant to your offering, and they are looking for it right now. Because the user is very much in the market right now, Search campaigns can have an excellent conversion rate if keywords are carefully chosen and ads well crafted. The downside is that clicks tend to be fairly expensive compared to other campaign types. Display ads can appear anywhere, from blogs to Facebook and LinkedIn pages, on forums, news hubs… Almost any site can choose to host advertising and be paid for it through an advertiser platform like Google’s Adsense, although you do need plenty of traffic to generate significant income. The example below is taken from an advertising-supported snow forecasting site. The ad is for a ski vacation provider. Display ads can be text, just like those ordinary search ads, but they can also be image-based or even animated with Flash or HTML 5. Video ads are also gaining popularity. Being able to create beautiful, engaging ads is great. But because display ads can appear anywhere, viewers may not be ready to shop or even browse your site right now. Click through rates can be small and conversion rates tend to be lower than those that could be achieved through Search ads. On the other hand, display advertising can be a very cheap way of getting your brand out there. Clicks can be cheap and every view of a compelling ad makes a difference. How much competitors are prepared to pay for that click. How well the platform thinks your ad and landing page matches the user’s intent. In AdWords, this concept is known as Quality Score. A good quality score will mean you can get the same click cheaper. How closely your keyword matches the user’s query. Whether or not you own a brand mentioned in the query— some platforms will give you clicks very cheaply when the searcher references your brand. Competitors will have to pay more for the same click. Most advertising platforms will let you set a maximum bid per click on an ad, keyword or audience basis (or a combination of all three) and a maximum daily budget to control spend. Another charging format is PPM, where you pay for every 1000 impressions or part thereof (the M is from the Roman number M for 1000). Here, you effectively pay for people to see your ads whether they click or not. It’s possible to get absolutely no clicks from a PPM campaign and still have to pay for impressions, so these campaigns should always be undertaken with care. PPM advertising can have its place, for example in wide-scale brand building. Typically, a thousand impressions might cost a few dollars. Outside of the major advertising platforms, you might also encounter flat rate offers, where a site or family of sites will run your ad in a particular place for a month or a few months, for a given fee. Promises may or may not be made about how many impressions and clicks the advertiser can expect under these circumstances. We usually recommend running these ads for a short time period with analytics in place, and analyze the results carefully before undertaking a long-term contract for flat rate advertising. AdWords is the most common choice for new advertisers and probably the richest and most fully featured of ad platforms available today. New features are constantly being added. Search campaigns can be created with text ads and selected keywords. There are also facilities to extend ordinary text ads with additional links to other pages on your site (sitelinks), phone numbers, address information and more. Bids can also be modified and ad groups targeted to geographical locations or times of day, and bids for mobile devices can be adjusted as a percentage of the given desktop and tablet bid. We mentioned Youtube video advertising in the AdWords section earlier, but you can also advertise on most of the biggest social media platforms in one of two ways: with display ads or promoted posts. Display ads on social platforms like Facebook and LinkedIn are quite small, so care has to be taken to provide clear messaging and images that will work in a small format. Click through rates are typically low, but targeting can be very precise and take in user interests and location. On LinkedIn, you can even target your ads to people with a specific job title in a specific industry. For B2B, clients have found the quality of leads generated with LinkedIn advertising to be very good, but numbers are usually small. 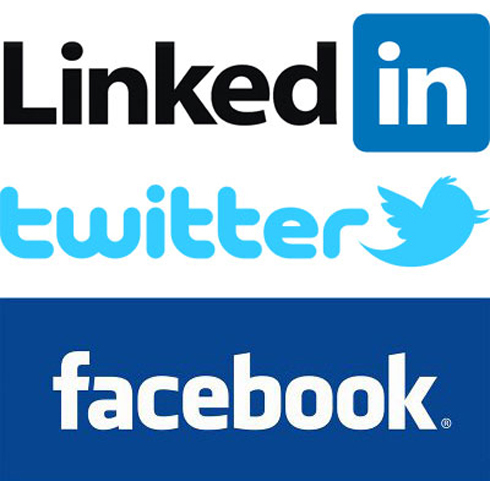 Promoted posts (or sponsored updates) can be undertaken on Facebook, LinkedIn or Twitter. For B2C businesses, these are often the most effective form of social advertising. The social element is always key, and most social media advertising platforms allow you to utilize your existing network to find more followers or visitors. Take Twitter lead generation for example. It’s possible to specific a target audience, say of your people who follow your strongest competitors, and show them a ‘Card’ that will allow them to sign up to your newsletter or a drip email campaign straight away, within the Twitter interface. You can even link these up to your email management system.